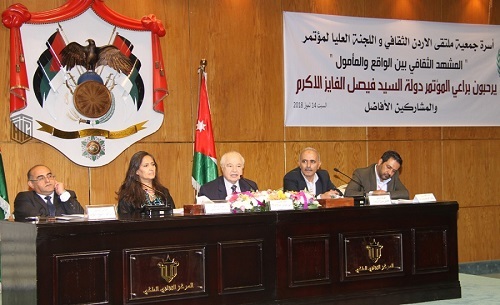 AMMAN – While chairing the National Cultural Conference session entitled “Culture of Community Service”, H.E. Dr. Talal Abu Ghazaleh stressed the importance of multicultural diversity in enhancing peoples’ and institutions performance in a country. The Conference has been organized by Jordan Cultural Forum Society, under the patronage of Senate President HE Mr. Faisal Al-Fayez in the presence of Minister of Culture HE Ms. Basma Al-Nsour . 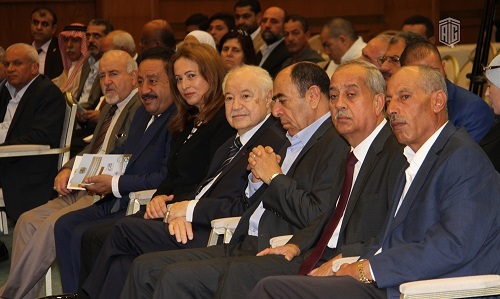 While addressing the meeting, Dr. Abu-Ghazaleh said that the culture of community service should be proven by the conduct of institutions towards their countries, explaining that Talal Abu-Ghazaleh Organization (TAG-Org) allocates 50% of its profits to community service activities. He pointed out that TAG-Org launched Talal Abu-Ghazaleh Business and Culture Radio Station which is considered an added value to the cultural scene in the Kingdom. 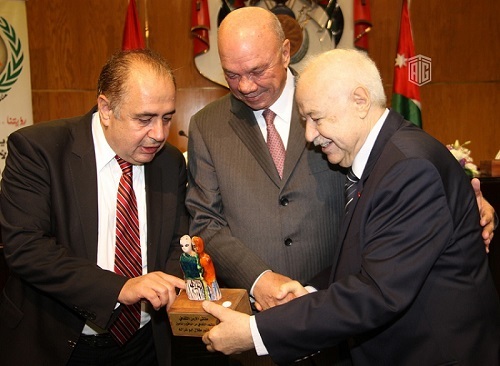 Moreover, Dr. Abu-Ghazaleh called on all educational institutions in Jordan to embrace the culture of creativity and innovation to keep up with the rapid development in the field of information and communication technology which will positively affect the national economy. 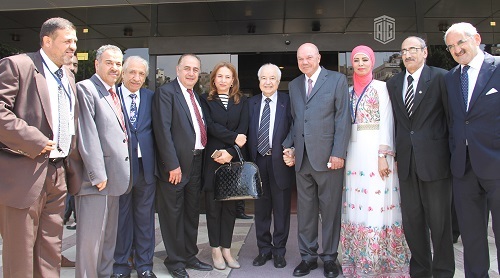 Meanwhile, Abu-Ghazaleh announced the opening of registration for admission at Talal Abu-Ghazaleh University College for Innovation (TAGUCI) which is one of a kind institution that aims at graduating inventors. For his part, Mr. Jeries Samawi, former Minister of Culture and Head of the Higher Committee of the Conference highlighted several cultural issues including the role of Ministry of Culture, the multi-cultural platforms in the country as well as the cultural reference points in the Ministry’s discourse. At the closing of the Forum, the recommendations of the participants were submitted to the Chair of the Higher Committee to find the appropriate mechanisms for implementation. It’s noteworthy to mention that Jordan Cultural Forum is a voluntary cultural association which aims to uplift the cultural sector, support cultural institutions and organize cultural and scientific events and activities.